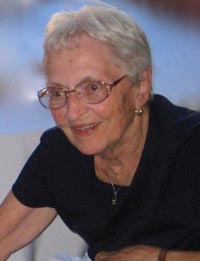 Norma L Stearns passed away in Eugene, Ore., on May 2, 2014, at age 87. Norma was born in Bellingham, Wash., the first of two children to Roscoe and Pearl Tipple. Norma grew up in Yakima, Wash., and graduated from Davis High School. She attended Washington State University where she majored in home economics and was a member of Pi Beta Phi Sorority. She graduated from WSU in 1948. Norma married Crockett L. Stearns in Yakima on July 16, 1949. A devoted wife, mother, grandmother and great-mother, she was preceded in death by her husband Crockett, brother John, mother Pearl and father Roscoe. She is survived by son Patrick (Jill) of Hailey, Idaho; daughter Jane Hoselton (Kevin) of Creswell, Ore.; daughter Jill Stephens (Bill) of Hillsboro, Ore.; and son Peter (Heidi) of Hailey, Idaho. Grandchildren include Callum and Tate Stearns, Jill Nehl (Garrett), Brooke Johnsen and Drew Hoselton (Kristin), Billy Stephens (Nikki), Ryan Stephens (Suzie), Justin Stephens (Katie) and Mia and Crockett Stearns. Great-grandchildren include Will, Taylor, Hailey, Jake, Sydney, Cole, expectant baby Stephens and Kiley Hoselton. Services will be held at Central Presbyterian Church, 555 E. 15th Ave., Eugene, Ore., on June 17, 2014, at 3 p.m. The family will honor Norma at a private ceremony in Sun Valley, Idaho, in the summer. Remembrances may be made to the University of Oregon chapter of Pi Beta Phi Sorority in honor of Norma Stearns, 1518 Kincaid St., Eugene, Ore., 97403 or the charity of one’s choice. Arrangements are entrusted to Musgrove Family Mortuary. Please access the obituary and you are invited to sign the guestbook at musgroves. com.